With consumers buying touchscreen iPhone(s aapl) and Android(s goog) phones by the millions, what can BlackBerry(s bbry) do? Zig while everyone is zagging might be the best possible strategy. And that means a return to what BlackBerrys were best known for: Outstanding QWERTY hardware keyboards catering to those who need those buttons the most. Over the next 18 months BlackBerry will focus on several new phones with keyboards, Reuters reported on Friday. The devices will be aimed largely at government and corporate clients; two markets that initially helped BlackBerry become a household name over the last ten years. The keyboard models are a complete about-face from the company’s Z10 flagship phone which debuted last year with a full touchscreen and new touch-optimized software. Sales of the Z10 and subsequent models never took off in the either the consumer or business market, however. More older BlackBerry phones have been selling than the new BlackBerry 10 devices, in fact. BlackBerry today reported that of the 3.4 million phones sold to end customers in the most recent quarter, 2.3 million of them ran BlackBerry 7 (PDF). BlackBerry does have much to offer in the enterprise and still has $2.7 billion of cash to work with. While it “retools” its product line with physical keyboards some of the cash will bleed off, but if Chen keep still keep BlackBerry desirable in the enterprise, he can at least stabilize the company. 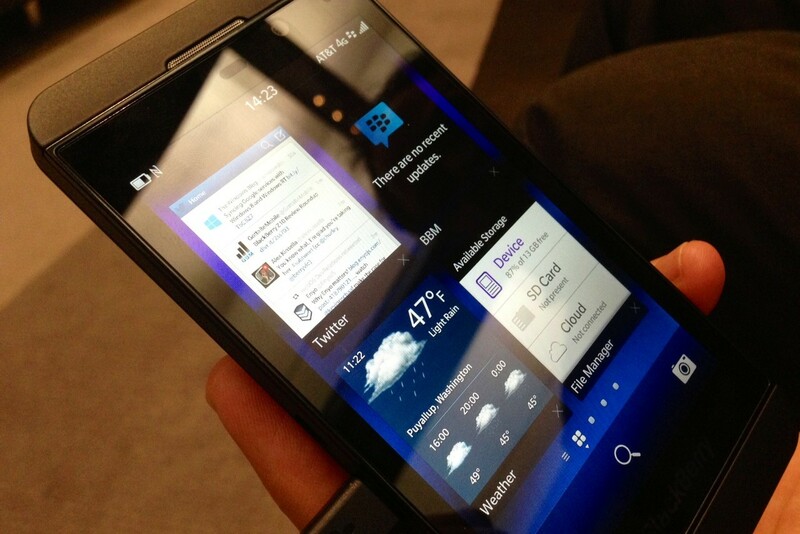 And from there, maybe BlackBerry will get yet another chance to make waves in the consumer market. Yes, alyboad that what ppl wants.